Anabelle Back on the Big Screen! 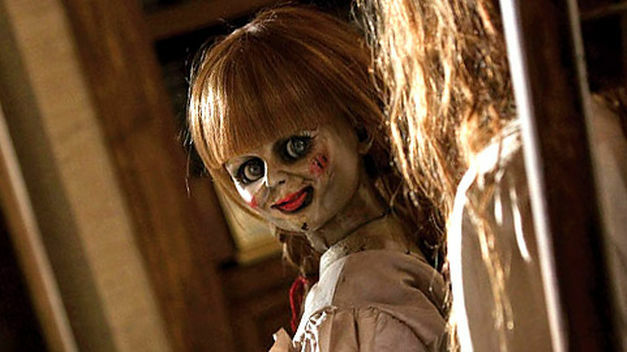 John R. Leonetti, director of "The Conjuring" and "Insidious 1 & 2", released a graphic interchange format (gif) of "Annabelle" as teaser for an upcoming The Conjuring Spin-Off "ANNABELLLE" movie which will be released on October 3, 2014, starring Annabelle Wallis and Ward Horton. I am really excited and I really gonna watch this movie because John Leonetti is such a great horror movie director and to prove that is the movie, "The Conjuring", which for me is the best horror movie I have ever seen in my entire life. And I kinda miss Annabelle too so cannot wait for this. How about you guys? Are you looking forward to watch this too? I have not heard of these movies and I would not see them I do not like scary , horror type movies. I do hope you come back here to write soon. I saw Annabelle and it was okay enough. Insidious got a little tedious in the sequel.